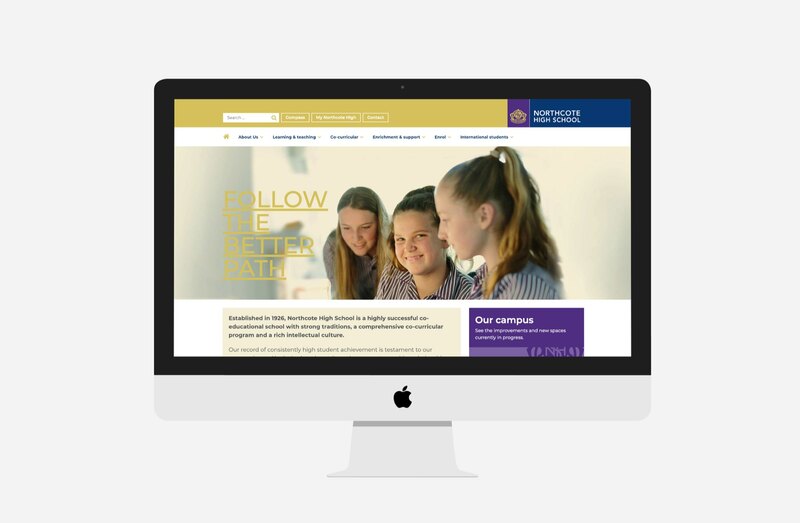 Northcote High School required a new website to better reflect the forward thinking approach of the school. 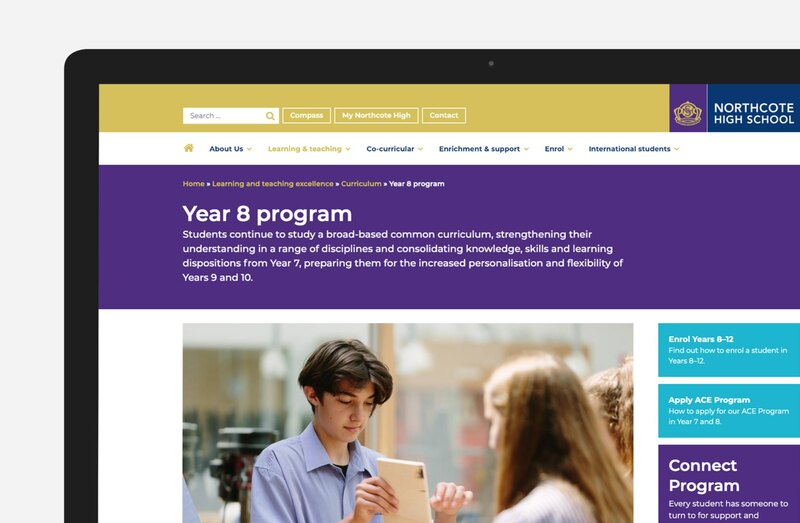 Sixheads worked with content strategists Content Ark and design studio Mono Design to develop a modern site that answered the needs of a busy urban high school. 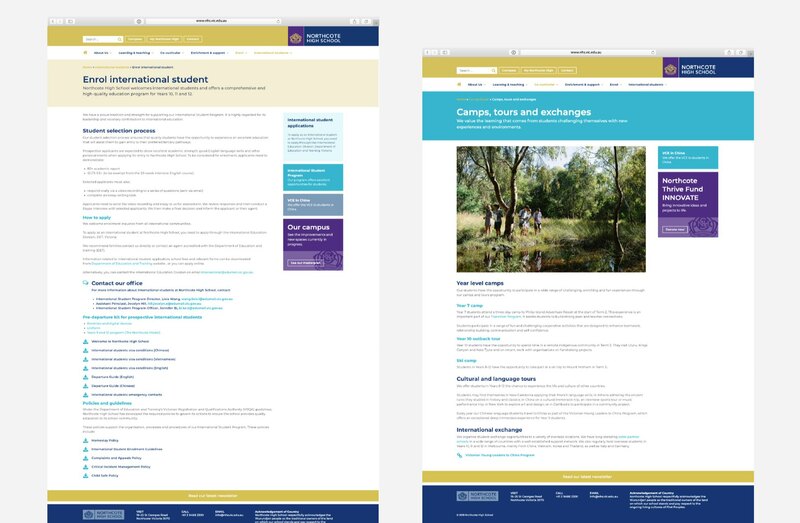 Key templates required various content modules such as rich text, images and tables to allow design flexibility for now and in the future.